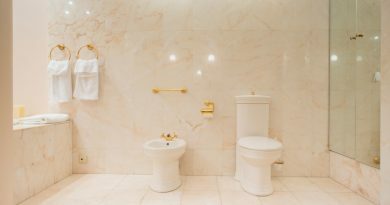 If you are one of the lucky homeowners with more than one restroom then scheduling your bathroom project may not be much of an issue because if one of your baths is temporarily out of commission, you can always use the other facility. 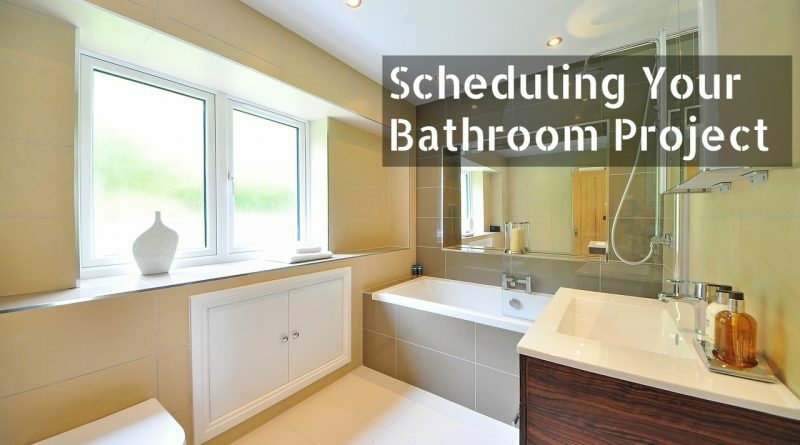 However, if your only washroom is in dire need of an upgrade then creating a detailed timeline will speed up the process so that you can get your lavatory up and running in no time with minimal disruption of service. Preparing a timetable for your undertaking will not only establish a date for completion, but it will also allow you to better negotiate contracts so that you can more appropriately plan your time. The first initial step in establishing a projection timeline is to figure out the sequence of construction that is needed to meet your goals. While the size and scope of most home improvement jobs differ considerably depending upon what you want to be done in your washroom, there are four general phases that the typical renovation goes through. Preconstruction, demolition, preparation of the space and the installation of fixtures and surface finishes and materials, all take time, and you must estimate the duration needed to complete each step. If this calendar is done correctly, it will establish a logical sequence of events to guide you as well as help to give your lavatory a sense of professionalism and finish. When planning out the details, you must be as vigilant as you would when choosing the major fixtures for the room. The first stage to cataloging your assignments and tasks is the “preconstruction” phase. This is a particularly important point because it is here that you establish the chronology and arrange the financing of things to be done. Initially, you must finalize the bath design that works best for you. Contact potential contractors to get bids so you can work out some kind of estimate to fit within your budget and hire subcontractor(s) based upon availability and expertise. Also in this preconstruction phase when establishing an itinerary, it’s a good idea to order any time sensitive materials and fixtures so that they will arrive in chronological order when they are needed to be installed. Having a waste removal plan in place, if you are doing major reconstruction, just makes sense. Some home improvement stores will even loan or rent you a bin which they will take away to be recycled when your renovations are finished. And lest we forget, get the necessary permits needed before you even begin construction from your local municipal authorities. Transfer the estimated duration needed for each job to a calendar so you can establish a sequential time table by recording the start and finish period of each task. Remember that some responsibilities can be done simultaneously while other duties must be done before you can complete the next. With this in mind, you should contact the necessary supplier of materials to find out the lead time for delivery of fixtures, cabinets, and tile or floor coverings. All things considered, you must adjust your calendar to coincide your timeline with the delivery of the necessary materials. Of all the stages in scheduling your bathroom project, demolition is the most fun because you get to break and rip things out, but it can also be one of the most dangerous phases if precautions are not taken. Safety here is paramount. Wear protective clothing and eyewear. Turn off the electricity and water to your bathing area and remove all moveable items. Try to establish a protective barrier to seal off your washroom so that dirt and debris will not be trafficked throughout the rest of your home and have bins for the removal of rubbish and storage materials readily available. Anything that will get in the way of your reconstruction efforts must go. If that includes shelves or built-in storage units such as vanities and countertops, then they must be removed. And don’t forget about trim, moldings and electrical fixtures. Whether you or a qualified contractor do this deconstruction will all depend upon your expertise and your sense of adventure but be realistic about your limits before you attempt any reconstruction tasks especially when it comes to plumbing and electrical work. At this stage, you may have to alter walls or repair a floor if necessary. 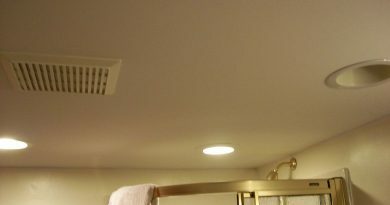 Installing a new fan, heating, and ventilation, roughing in plumbing or wiring or even installing a new door, vanity, shower or tub are all part of preparing your lavatory space. This is also a good time for painting walls ceiling and installing trim. If you are doing any plumbing or electrical work, make sure you get these inspected by a certified professional. The last stage of scheduling your bathroom remodeling project is to install finished materials, new fixtures and details such as baseboards to give a finished air to your home spa. Cabinets, countertops, and backsplashes along with a new faucet or washbasin are finishing touches to a new bathing space and also ensure your plumbing system is working properly. The installation of lighting fixtures, switches, and other electrical fixtures, allow you to test electrical systems for safety. At this time in the project, you can also touch paint and remove stains and blemishes while cleaning up and removing left over trash and debris. 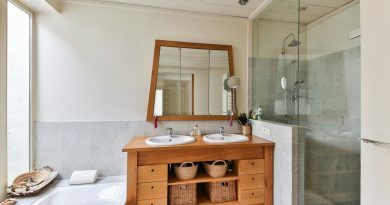 Since this is the final stage in booking your bath activities, get all necessary final inspections before you open up your restroom to the rest of the family. Plan to solve bath problems before they actually happen. When coming up with a plan of action for your next home reno, you have to establish a timeline based upon availability of materials and your contractors availability to create milestones along the way and keep your progress in check. If you have to put a deposit on an item that needs to be ordered in, make sure there is a clause in the receipt that stipulates that the deposit is refundable if the established delivery date is missed due to unforeseen circumstances. Save yourself a headache, plan for the successful completion of your venture. Take action today!